The last time we wrote about Tasker was in 2015 when Google removed the app from Google Play, then reinstated it shortly after. 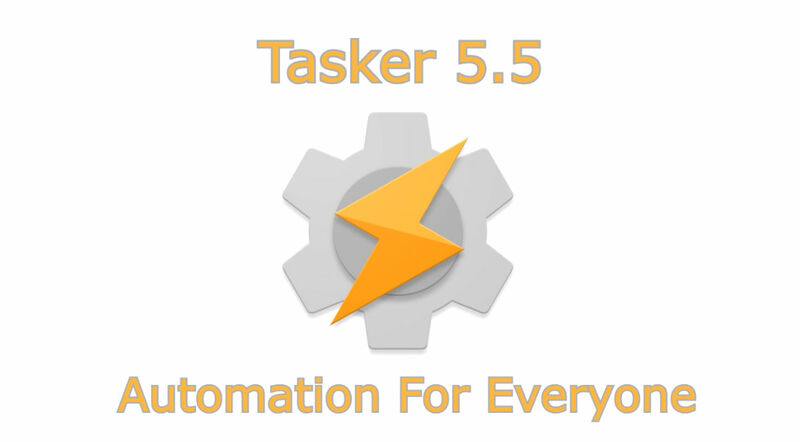 Since then, Tasker has continued to be a mess of an automation experience with triggers, actions, tasks, scenes, and even standalone app creation. It’s simply too much for my tiny brain to comprehend. A new update is rolling out on Google Play right now, though, labeled as version 5.5. Inside, Tasker lets users access Google Drive for file and data backups, but the big new shiny thing appears to be TaskerNet. According to the description in the changelog, as well as the promo video below, TaskerNet is a “place to share and import pre-made projects.” With this, you can simply import pre-made projects from others, a lot like recipes on IFTTT. Ultimately, it means I don’t have to be a wizard to get Tasker running and doing a lot of automated tasks on its own. Thank goodness! Here’s the full changelog from Google Play. The developer states that this update is rolling out gradually, but if all goes well, all users should have it within the next few days.